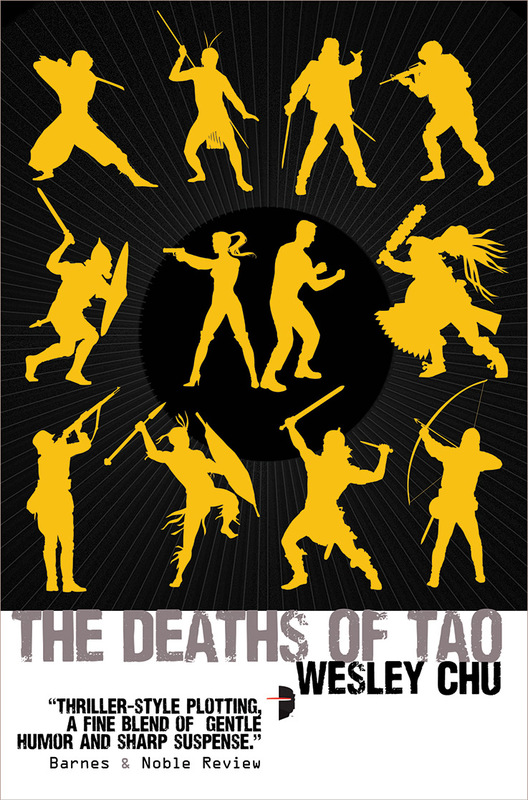 I would say that the title of this one gives it away – The Deaths of Tao – that there was going to be a sad ending. Okay, maybe a somewhat sad ending tinged with a mite of hopefulness, but sad nonetheless. Wesley Chu’s sequel to The Lives of Tao will keep you on the edge as lead character Roen Tan, whose body and mind are inhabited by alien Tao, fights to save humanity from another group of evil aliens. Centuries old, Tao has imparted all the wisdom of his years on Roen. He explains how his alien race of Quasings from Quasar crashed landed on Earth and shaped historical events the planet, molding and manipulating earth creatures, including humans to their own ultimate goal of being able to return to their home world. In Deaths, the evil Genjix Quasings have begun sacrificing humans & Quasing alike in their attempts to facilitate successful procreation of their species and create a Quasar-like atmosphere in which they can survive long periods of time. The Prophus battle the Genjix for supremacy but they respect humanity and see humans as more than mere vessels, hosts, or tools. In this sequel, Roen has abandoned his wife Jill (also inhabited by a Quasing) and their son Cameron. Roen has sequestered himself at the suggestion of his Quasing Tao while he investigates Genjix’s operations. Roen faces soul-searching anguish in his conflicting desires to be with and protect his family and his main mission of saving humanity. Throughout the book, Chu gives us high energy battle and fight scenes. His first hand experiences as a “Kung-Fu master” and stuntman shine though with the realism Chu injects into each fight. Although somewhat expected, as I said at the beginning, we knew someone wasn’t going to make it out alive of this sequel. With that said, I still enjoyed the ending. Toward the middle of the book, the pace bogged down somewhat as Roen’s team jumped from place to place on their missions. However the fight scenes and political intrigue provided by Roen’s wife Jill helped to break up the slower pace, keeping it interesting. I highly recommend both books as well thought-out alien science fiction. I would imagine we haven’t seen the last of Tao. Or have we? Sweet! Great review–I like your writing style. I loved this book to o.It was a bit of a shock that Chu skipped over the wedding and career success but let’s be honest he took us straight back to action! I agree completely agree with you. I’m a huge fan of the series Wes has created here.